As their titles indicate, the paintings in this series of urban views are made at different times of day. 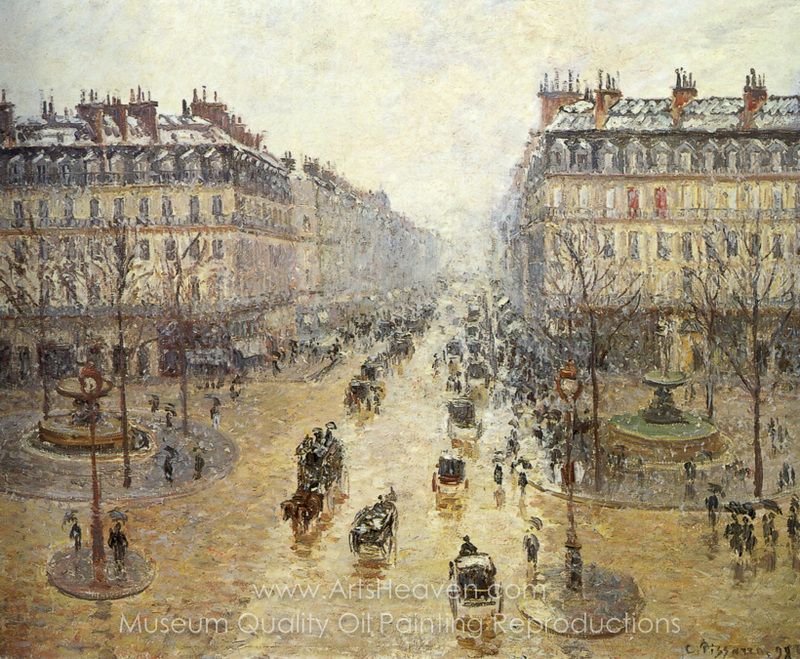 Pissarro works carefully to accurately reproduce the changes in light caused by variations in weather conditions. After his brief experiments with the chromatic decompositions of Pointillism, he has returned to the realism and naturalism that lie at the heart of Impressionism. His technique is secure, the application of the brushstrokes easy and uniform, recreating the pale luminousity of a morning sky. 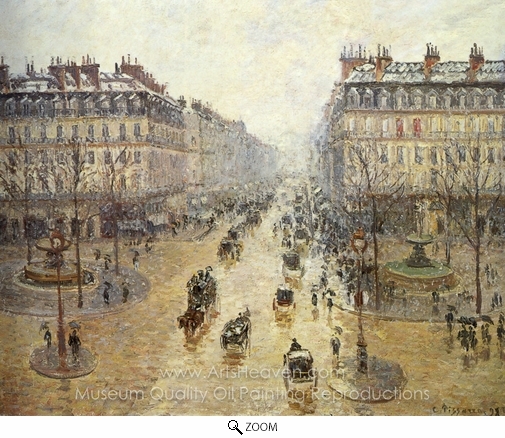 Decorate your home or office with our beautiful museum quality art reproduction of Camille Pissarro Avenue de l'Opera: Snow Effect painting. Why settle for a print, poster, giclee or canvas transfer when you can grace your walls with a genuine oil on canvas painting reproductions for sale at up to 75% below gallery prices. You are commissioning an authentic hand-painted oil painting on quality artists canvas. Painted by professional artists brushstroke-by-brushstroke with attention to all details. Order your Masterpiece today and get Free Shipping to your door direct from our studio.